– 5 Types of Hyaluronic Acid to deliver moisture to the depts of the epidermis and helps maintain moisture over long period of time whilst refining and plumping up the skin overall to protect the surface of the skin. 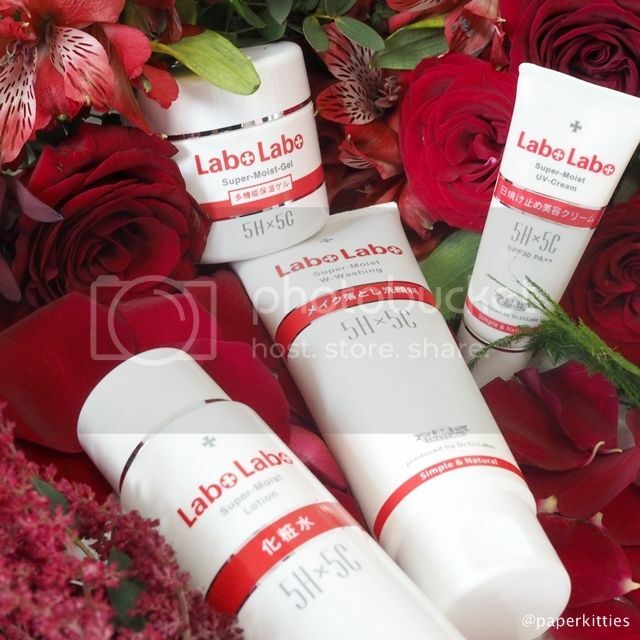 – 5 Types of Collagen to trap moisture into skin for extended period and giving it elasticity and resilence. 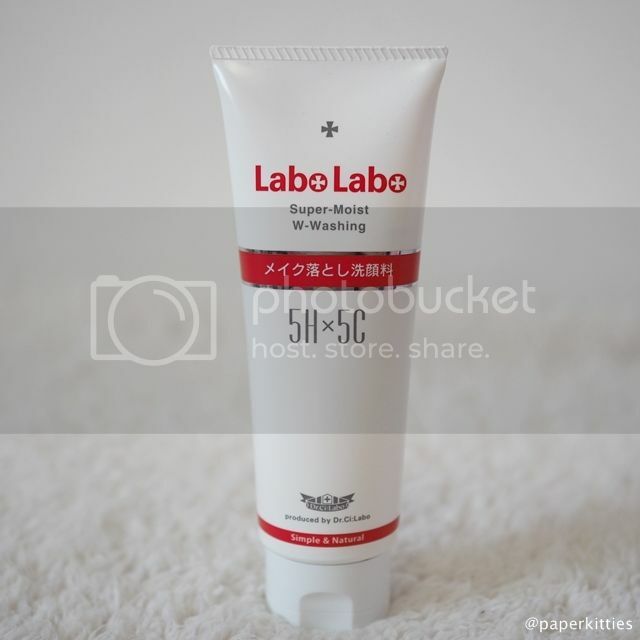 Let’s get started with this Labo Labo Super-Moist 5H5C range one step at a time, starting off with the cleanser. A 2-in-1 makeup remover and cleanser for a thorough wash after a long day at work, Super-Moist W-Washing is made of 100% plant-based soap (palm tree). A little goes a long way and when mixed with water, it turns into a creamy foam that thoroughly removes my daily basic makeup – eye makeup still needs to be separately removed though. I find that it leaves my face feeling squeaky clean, but not to the extent of my skin being dry and “over-cleanse”. 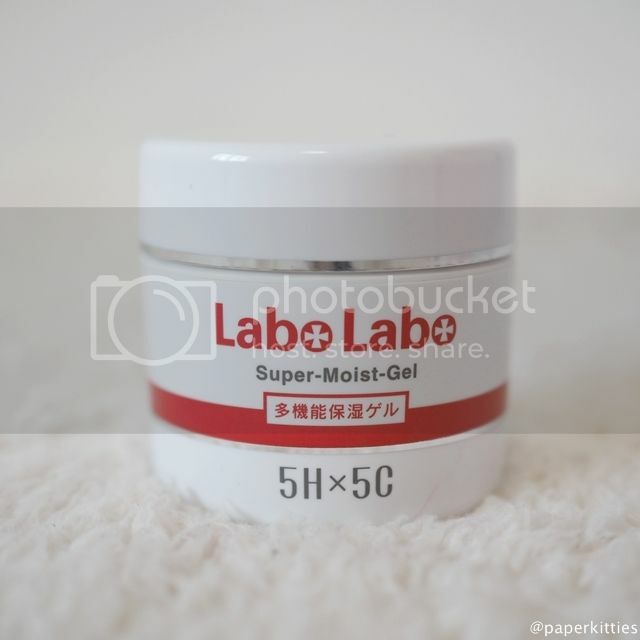 Moving on to Super-Moist lotion that provides a satisfying degree of moisture! Thoroughly permeates the skin for supple, elastic skin that is filled with moisture. Other than the active ingredients forementioned, Super-Moist Lotion also contains unique ingredients such as Seaflash (from sesame seeds) and Rosefruit extract to give skin elasticity and antioxidant properties respectively! After washing the face, place an appropriate amount on the palm of the hand and blend, ensuring that it permeates the entire face. Or, you can also choose to moisten a piece of cotton with a generous amount of lotion, apply to particularly dry areas for 3-5minutes. Before tapping the remaining lotion into your skin. It’s so soothing when my skin is feeling dry these days, it just soak it all up! If you have dry skin, it is recommended that you apply several layers to truly hydrate your skin. However, if you have oily skin like I do, I will recommend that you just stick to using it at night; for I find it slightly too rich for day use, not in our humid weather at least. Dry climates like Australia will be perfect for day and night use! Lastly, finishing my skincare routine with Super-Moist UV sunblock cream that’s rich in beauty ingredients that treat dryness and dark spots, it is super gentle on the skin. Although it is a sunscreen, experience the elasticity and resilience of the skin as you use it daily. 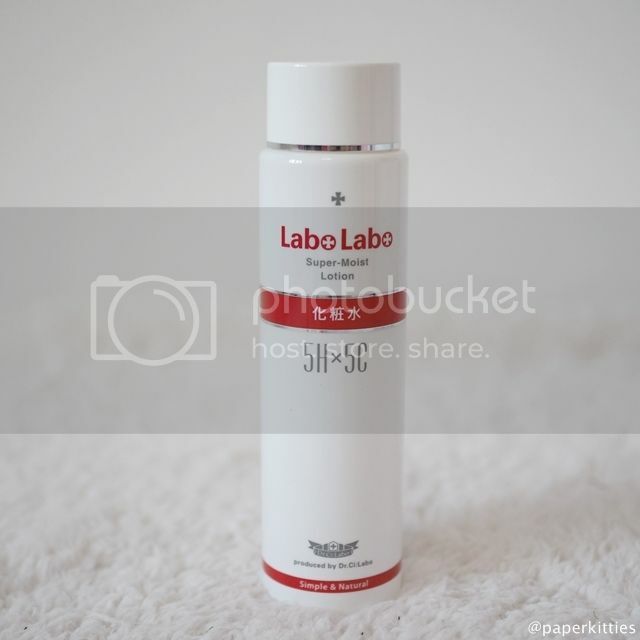 It also contains Mandarin orange peel extract to make one’s skin clear and bright. I was actually quite afraid of my face turning super oily by mid-day when I applied this since it leaves a slightly sticky feeling even though it absorbs quickly. Surprisingly, those horrid sebum was kept under control, resulting in my face looking dewy all day instead. 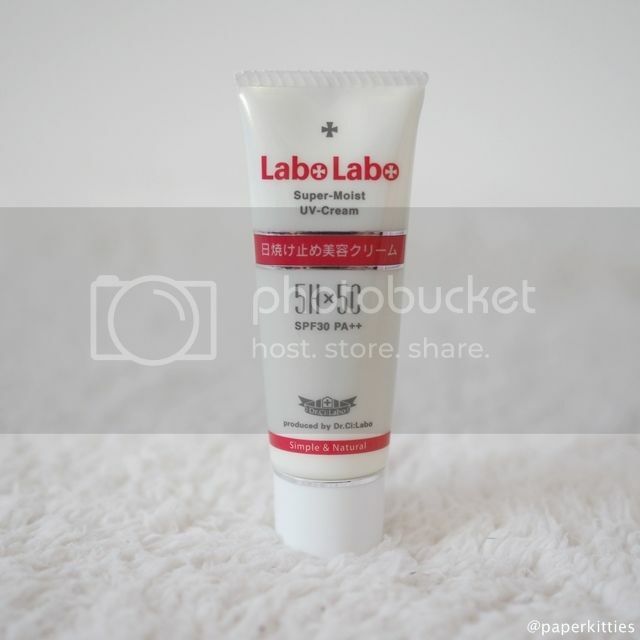 By the way, this sunblock also works as a base, therefore makeup can be applied immediately! To sum it up, whenever you see their products with 5H5C, it simply stands for 5 types of Hyaluronic acid and 5 types of Collagen! They are currently available at their standalone store at #B3-41 Ion Orchard (tel no. 6238-8395), or via their online site at www.ci-labo.com.sg. 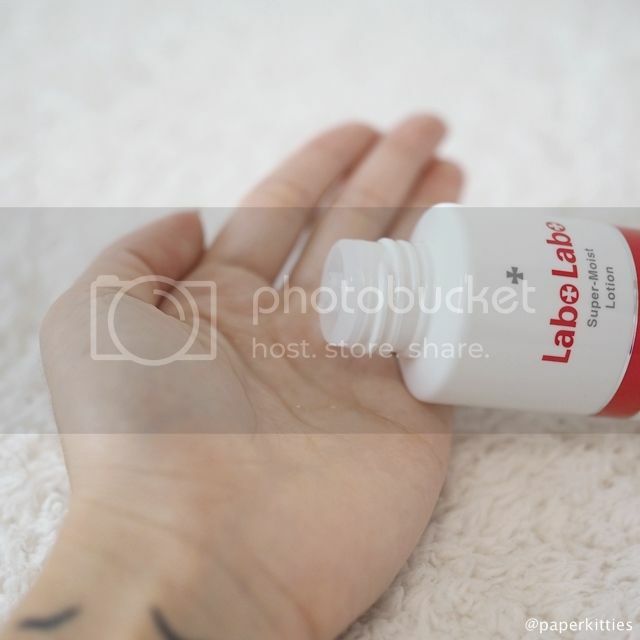 You can also enjoy 15% off all Labo Labo products from selected 12 Watsons stores until 20th April: Anchorpoint/ Bugis Junction/ Bukit Panjang Plaza/ Causeway Point/ ION/ JEM/ NEX/ Ngee Ann City/ Parkway Parade/ Toa Payoh Hub/ Westgate/ West Mall!